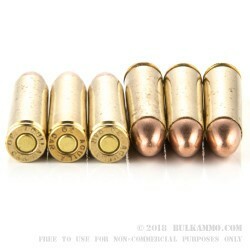 This ammo will work great in an M1 Carbine, Ruger Blackhawk, or even an AMT Automag III, should you happen to have one. 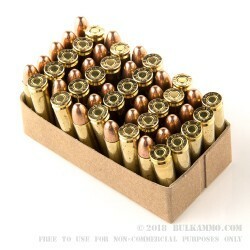 The 110 grain full metal jacket bullet reaches a muzzle velocity of 1990 feet per second, giving it excellent accuracy within a 200-yard range. 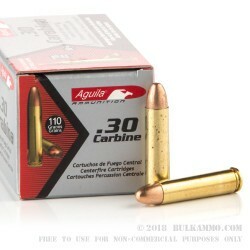 Unlike most rifle cartridges, these .30 Carbine rounds come in 50-round boxes. Each round uses non-corrosive Boxer primers and reloadable brass cases. Aguila (“Eagle”) brand ammunition comes from Industrias Tecnos, a Mexican ammunition manufacturer located near Mexico City in Cuernavaca. Tecnos was founded in 1961 and fulfills ammunition contracts for the Mexican military, primarily producing 7.62x51 NATO rounds on the military side. The company also markets a wide variety of ammo under the Aguila brand including over a dozen varieties of .22 caliber rimfire rounds and various shotshells and centerfire cartridges.